My goodness! I can't believe the things I got from e.l.f. I first heard of e.l.f. cosmetics while perusing through magazines. I couldn't believe how cheap their products were supposed to be, I was down right skeptical that I could ever like any of their cosmetics. Ugh, I can't believe I've missed out years of product enjoyment just because I was blinded by my prejudice- I thought costly always meant quality! But my cheap side won- I couldn't resist $1 makeup! However, there are some down sides to e.l.f. products- here's my review on my haul. I bought a little of everything- false lashes, cream eyeshadow, eyeshadow, mineral lip liner, eyeliner and some beauty tools. 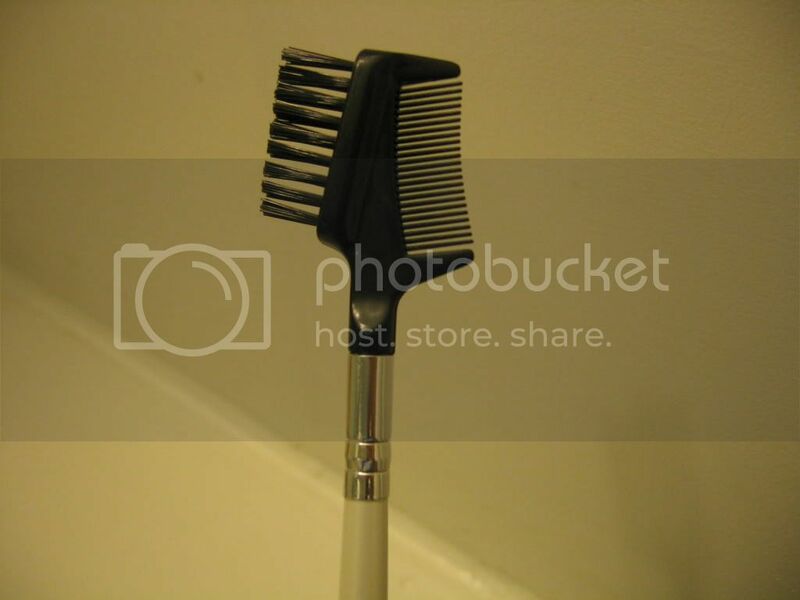 First off, I bought a eyebrow grooming tool and a mascara comb for a dollar each. They look just like the brushes in my Sephora brush set, so it made me pretty happy. They are a little lighter in weight and upon closer inspection the quality isn't as good as my other brushes, but since they were a dollar each, I really can't complain. At these prices, I can afford to replace them quite often. I didn't buy any of the other brushes, but I did order some for my sister for Christmas so I'll be sure to post about them later on. Next, the Duo Eye Shadow Cream. These were worth every penny and more! I bought Coffee & Cream, Eggplant and Olive. They are very sheer, but super buildable and highly pigmented colors. Each color also has a second color tone that shines through and makes it look wonderful. For example, the green Olive color has a gold undertone that makes it glow like you would not believe! 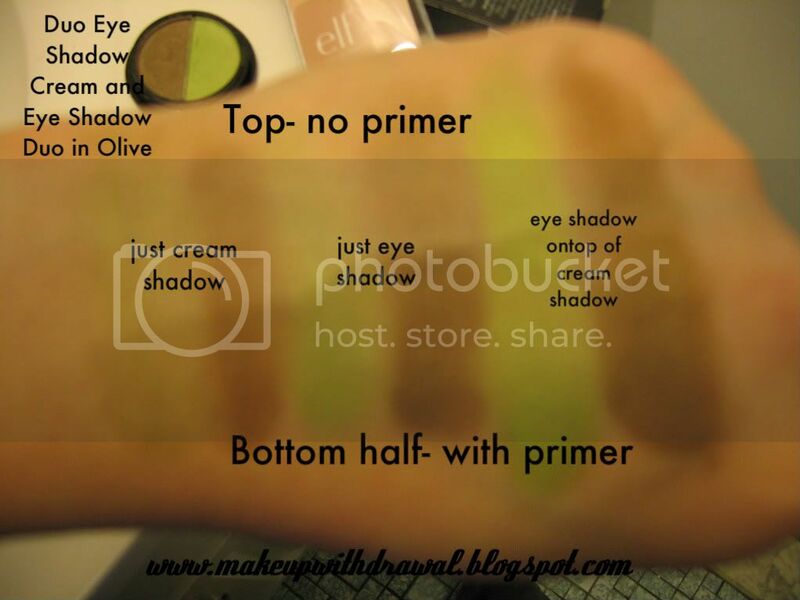 The biggest problem is that they do crease and fade if you don't wear an eye primer. 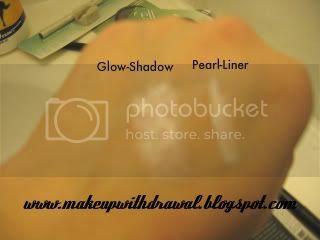 But with some Urban Decay Primer Potion on underneath, these cream shadows last all day. I especially like using these as a base, they help shimmery shadows stand out even more (the purple Eggplant color makes a fantastic plum smoky eye if you use it for a base!). However, I'm not sure how much I liked the glitter in the white part of Coffee & Cream, it was really fine and a nice gold, but glitter none the less. I thought it looked a little garish, but I guess using a little as a high lighter when I'm going out at night will add some interest around my face. 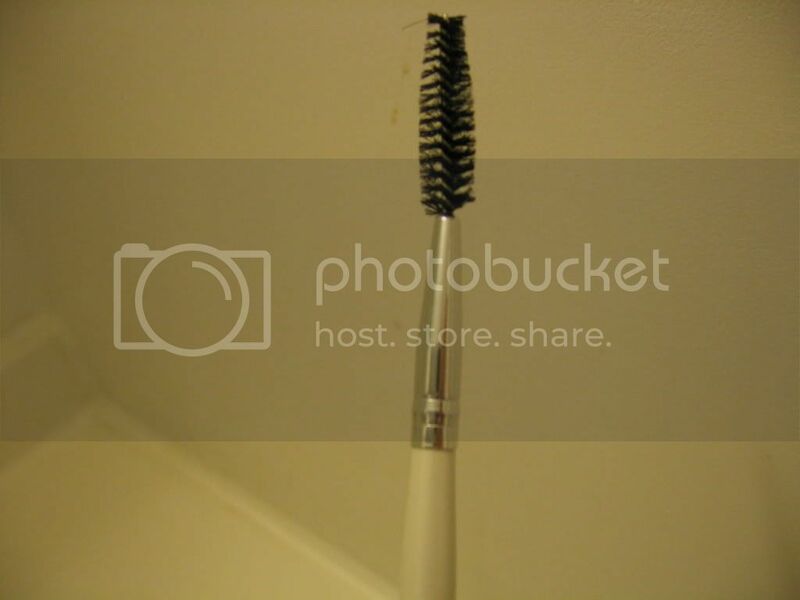 Eyeshadow Duo- It's very basic eyeshadow, and superb quality for the price. I got a matching Olive shade as well as a Butter Pecan. Nicely pigmented and the texture is really nice. It's hard to tell from the website but some of the shades are shimmery and some are matte. Butter Pecan consisted of two neutrals that were a very basic matte that will work great for day to day looks, especially for work. Again, if you want it to stay put, you'll use a primer of some sort. Brightening Eye Liner- Ugh, not my favorite. I got this in Plum and I found that it was too hard and too oily at the same time. How's that possible? Well, it was hard to apply- it seemed almost like the liner needed to warm up next to my skin. With a little bit of force, I did manage to get it to work, but the color was too waxy- it didn't show up at all! It did show up on my hand, but I think the delicate surface of the eye area won't allow it to really pick up color. Even after going over the same like about 4 more times, I finally got a hint of color, but it wasn't well pigmented. 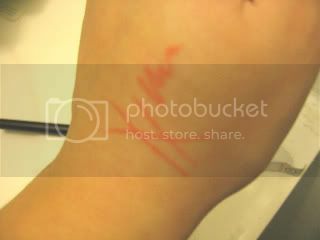 It faded away within about 3 minutes of the application. That's not even the worst part, the next day I got a pimple on my lower lash line where I had used it! I'm not 100 percent sure that it's due to the eye liner, but it's pretty suspicious- oily product equals nasty skin. I've never had a zit in such a weird place before. However, I was determined to find a use for this product, I'm not one to even waste a dollar! 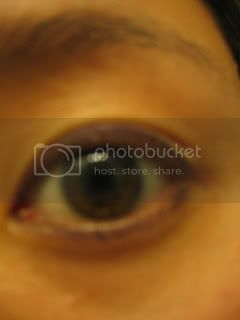 I ended up shading my entire eye lid up to my crease and used it as a sort of base to a purple shadow. The best thing that can be said about this liner is that it comes with a sharpener... at least you can use that! Eyeliner and Shadow Stick- This is a part of the Studio line. It's more expensive at a whooping $3. I'm half way in love with this product, but also half way wanting to cast it from my makeup collection. So I bought this in Pearl/Glow, the liner side being the pearl color, and the shadow side is a pinkish pearl, but to be honest, they look the same on skin. The liner is beautiful and creamy, I use it to highlight the inner corner of my eyes and it blends really well into the rest of my eye makeup. The shadow however, is pretty crappy. It has a lumpy consistency and somewhat tacky in feel. The quality of the product isn't all that great, the shadow keeps falling out. But, I do love the idea of the product and one end, but it probably isn't worth it for the price. I know, I know, three dollars, who cares? Well, I think I'd rather put that 3 dollars towards a MAC shade stick then continue to buy these. Mineral Lip Liner- Got this in Peachy. I really should have read the reviews, it's actually a really bright coral color. It's a decent lip liner, but honestly- I'd rather buy something available from the drug store like Maybelline or Rimmel. Better bang for the buck. It does come in a nice twist up pen, but I'm too disappointed in what I received to want to try other colors, especially if they aren't true to their names/ the swatch shown online. False Lashes- Fantastic! I can't wrap my head around the fact that they are a dollar a pair! I like the Dramatic black ones, they're pretty good quality. I can even reuse them if I want to, but they are pretty delicate. 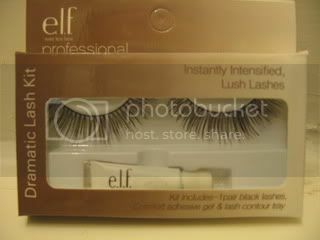 The eyelash glue that comes with it is somewhat dubious, I highly recommend to always use DUO Lash Adhesive. I put in another order for the Hollywood set from the Studio line, which is $3 for a pair of really wild looking lashes, a lash stand and a lash applicator. Again, I'd like to buy about 10 pairs of these lashes and at these prices, I really can afford to toss them out on a whim. What really helps when buying e.l.f. products are the reviews from other people on the site. A general rule of thumb is that if it's 4.5 stars or higher, it's pretty great and well worth the price. 4 stars and lower, it's proceed with caution and buy at your own risk. They also have mineral makeup which is a little more expensive but still very very cheap, and since it's 1/2 off right now, I'm going to put in another order for some, but I think I'll be buying it for Christmas presents, so I don't know if I'll get to review any. I will however, treat myself to some more and let you know how it goes!